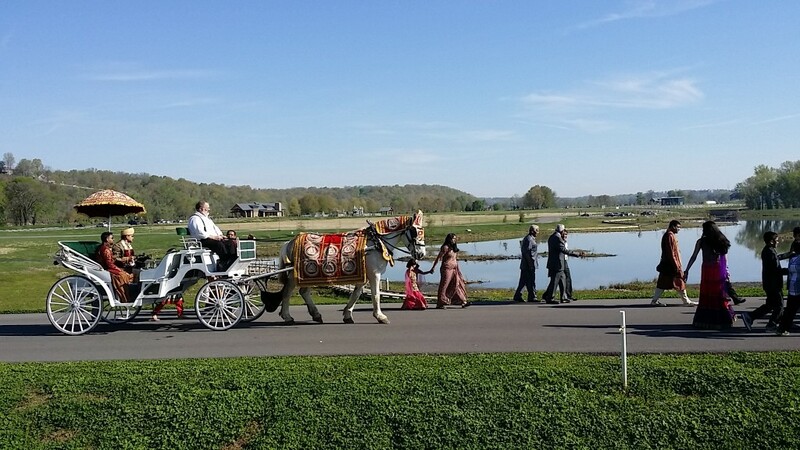 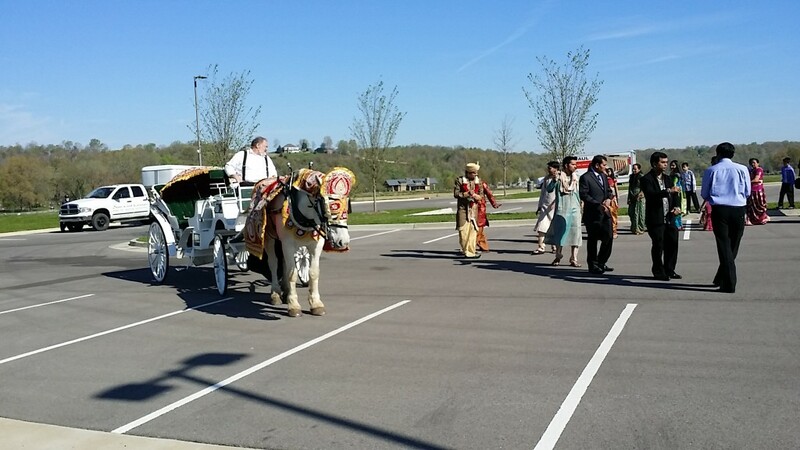 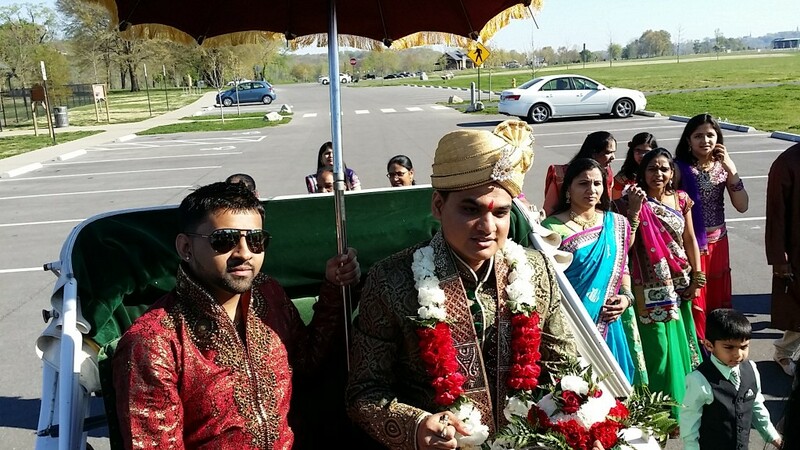 Sugar Creek Carriages is proud to be able to feature wedding packages expressly for the traditional Indian weddings. 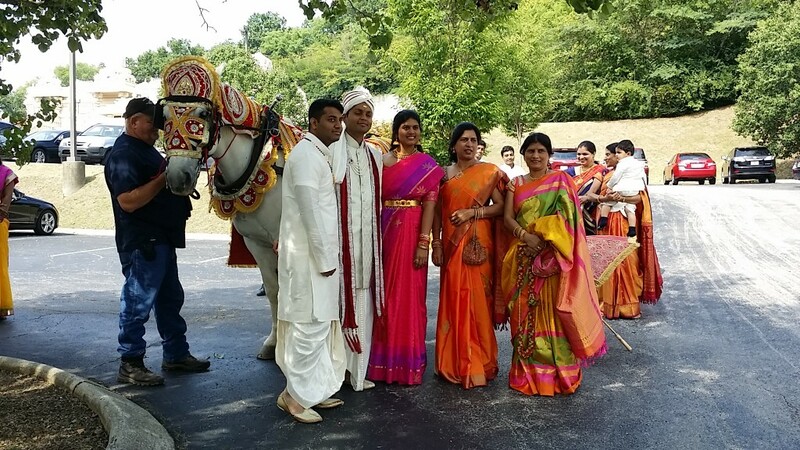 This very bright, elaborate ceremony uses a white horse decorated with embroidered horse costumes. 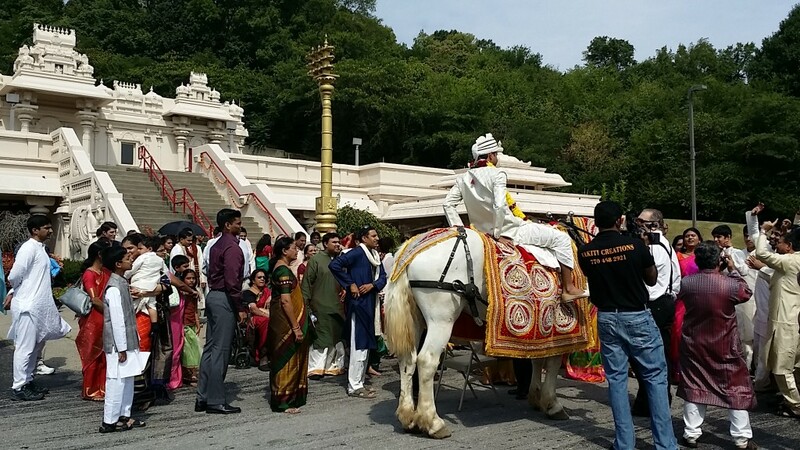 Traditionally, the groom rides the horse to the ceremony, although carriages are preferred in many cases.